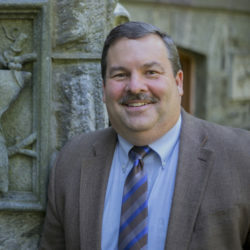 William K. Hallman is a professor and Chair of the Department of Human Ecology and former Director of the Food Policy Institute at Rutgers, the State University of New Jersey. He holds a B.S. (biology, psychology) from Juniata College and a Ph.D. (Experimental Psychology) from the University of South Carolina. He is a member of the graduate faculties of Psychology, Nutritional Sciences, and Planning and Public Policy at Rutgers. An expert in risk perception and risk communication, he has written extensively on food safety, food security, and public perceptions of controversial issues concerning food, technology, health, and the environment. Dr. Hallman has served as a member of several National Research Council committees focused on food safety, as the Chair of the Risk Communication Advisory Committee of the U.S. Food and Drug Administration, and recently co-authored a handbook on risk communication applied to food safety for the Food and Agriculture Organization of the United Nations and the World Health Organization. He currently serves on a committee of the National Academies of Sciences on the science of science communication.